Annie is a flight attendant who grew up on a tobacco farm in Kentucky, but now lives in New York City. Annie was raised by her grandparents after her single mother died much too soon. After Annie’s grandfather died, she focused more on her work and less on her grandmother back on the farm because the memories hurt too much. Then Annie loses her job to a airline buyout and finds out her boyfriend isn’t the man she thought he was. With no where else to go, Annie decides it is time to go back to Kentucky and face her memories. Once she is there, Annie isn’t prepared for what she feels and what lies ahead. This is the author’s first novel and she has based it on her own personal background of farming and promoting local food and resources. I found the story quite easy to follow and the characters appealing. Annie is a likable character and you genuinely feel sorry for her when events turn her life upside down. The story really kicks in gear once she returns back to her grandmother’s farm and you learn all the history behind Annie’s childhood. The characters that live around the farm are funny, lively, and well developed. You could almost imagine each one of them in your mind. Beulah, Annie’s grandma, was by far my favorite. Throughout the story, Beulah imparts wisdom and truth by sharing her values and her faith. As a woman who grew up during the depression, her farming and gardening methods are very important to the story and give it the basis for Annie’s future in the story. A lot of the sayings in the story like “Hard work is hard on the body, but good for the soul” reminded me of my own parents and grandparents. As a child who also grew up on a farm and yet doesn’t currently live on one, this story reminded me of all the things I appreciate about going back home. The gardening, the canning, the horses, the sights and the sounds in this story all reminded me of home. The importance of farming takes center stage in this novel and will make you question where and how you get your food to feed your family. The author adds a mystery character to the story that gives it a twist and keeps you guessing along the way as to her identity and reason for her secrets. Even though her story is minor, it offers a nice balance and intrigue to the rest of drama. I think this is a great “weekend read” and a story that you could share with your grandmother! It will leave you feeling happy and nostalgic for family and home. 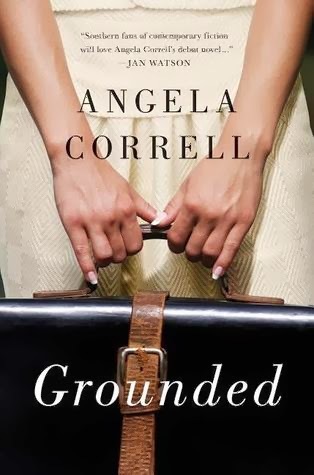 Angela Correll is a seventh generation Kentuckian. 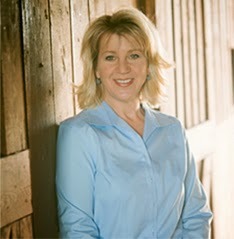 She has written newspaper columns about farming, family, and life. She is the co-owner of Bluebird, a farm-to-table restaurant. Correll lives on a farm with her husband, Jess, and an assortment of cattle, horses, goats, and chickens. For more, visit Angela Correll’s website at http://www.angelacorrell.com/. You can “like” her on Facebook, HERE or follow you on Twitter, HERE. I was provided a copy of this book for review. I was not compensated in any other way for providing this review. This review is my honest opinion.